Lowdown: Human built giant robots fight alien monsters that attack the earth through an undersea portal. With all the hype surrounding Pacific Rim, I had high expectations; very high. I thought I might be about to watch the best movie of the year. 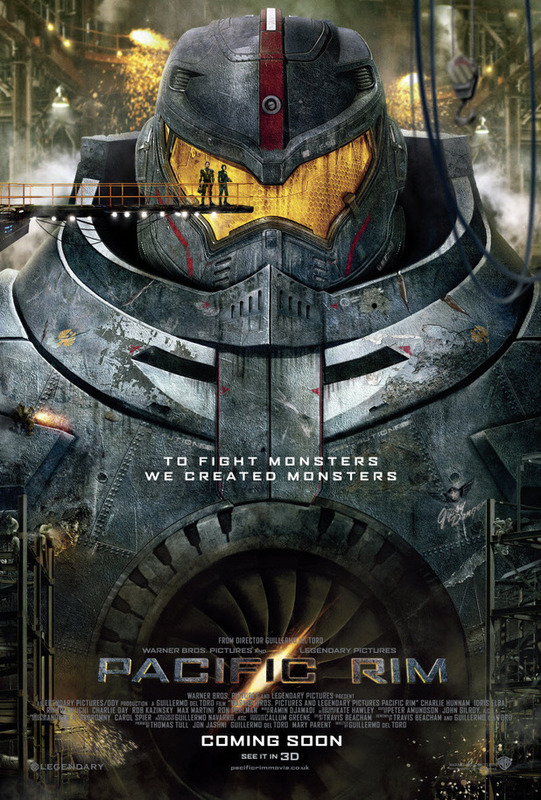 Alas, I should have known better, for Pacific Rim turned out to be the complete opposite of my expectation. A film that now I dismiss as nonsense and regard the two hours I had invested in it a waste. Where do I start? Perhaps with the long exposition introducing us to the setting. Aliens have attacked the earth, but unlike most "expectations" they attacked us from under the sea (I'm using the double quotes because no sane person would "expect" an alien invasion). Sending out Godzilla like monsters to wreck destruction upon our human dominated earth, we responded by erecting giant mechanical robots to fight these monsters back with. Assuming we accept giant robots being the best answer for such a threat, we are asked to accept an even worse stretch: For reasons Pacific Rim takes for granted but which eluded me throughout the movie, these robots required two human operators to drive them while their minds are literally in sync. Which imposes limitations on the pilots and adds [unnecessary] complications to the plot. I'm still covering the exposition here. The robots were successful, initially; but then the aliens threw in bigger monsters and the robots started failing. Which brings us to where the movie actually starts: humans pretty much gave up on the robots idea and decided to hide behind walls. However, the joint running the robots knows this is just a silly idea as the walls are no match for the monsters, so they disobey human leadership and go for an all-or-nothing encounter with the aliens using their remaining robots and crews they scrap from here and there. The story of that last make-or-break encounter is the story of this film. It involves robots fighting monsters in totally unbelievable terms, lots of silliness added on top of that, and grotesquely exaggerated Australian accents. If you like your manga and would dearly love to see it done live (or as live as digital effects can count), then Pacific Rim might be right up your street. I, however, could not let go of just how much in this film does not make sense. I love my manga, and I think Pacific Rim does a lot of disservice to the world of manga. I expected so much more from director Gillermo del Toro, the guy who gave us Pan's Labyrinth in the past. But instead of something original we got a silly and unoriginal rendition of an Independence Day like experience that relies way too much on special effects. Overall: What a failure! 1 out of 5 crabs.